Corporate America taught me to surround myself with people who are where I want to be, whether it’s a year from now, 5 years from now or 10 years from now and learn. I’m relational to the core – with the exception of the first two, I’ve actually met everyone else listed. Again though – they are not my inner circle, but they do have an influence on my life and my choices. These are the feet I sit at from a social network perspective. In no particular order, I offer you the people who influenced me the most in 2011. If you aren’t reading these people, you are missing out on a great adventure. The Blog Post that set the tone and had the most influence on my choices for 2011 – Living a Good Story, an Alternative to New Years Resolutions by Donald Miller. Donald made me think about my life. What do I want? Am I willing to overcome conflict to get it? He also wrote the worst woman haters blog piece I’ve ever read in my life, which teaches me that everything has a balance. Nobody is perfect. Author and Poet laureate Molly Fisk: I met Molly online via a mutual friend. Molly teaches Poetry Boot camp and Finding your Voice. 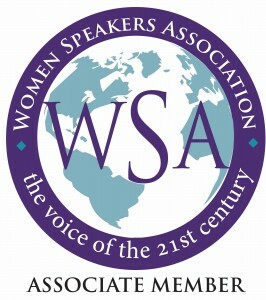 I spent six of the most amazing weeks learning about voice with nine other women. Molly’s encouragement, kind instruction, and great advice brought the poet in me alive again. Gail Hyatt, married to Micheal Hyatt (see below) is a blogger at: Treasure Hunt. Her posts touch my woman’s heart. Gail raised five girls while I raised two boys. Gail isn’t famous nor does she seem to want to be, though I could be wrong. She is a wife, a mother, a daughter, a bible teacher and a friend to others. She is by far and large a better wife than I. I learn a lot from her. Her posts look beneath the surface of human relationships and the heart of family. Gail’s influence on me is one of a calming femininity, trust in life and in God. She is one of my favorite reads. Chonda Pierce is probably my favorite woman on the planet. She’s funny, super sweet, and has a heart of gold. I met Chonda in 2003 at Women of Faith and now work/volunteer as one of her National Turbos. It is a pleasure and a joy to help promote her ministry. The video below is a trailer to her video This Ain’t Prettyville. Several of us went to the taping in Nashville a couple of years ago and had the time of our lives. Chonda is near and dear to my heart and has played a huge role in helping me find myself again now that my kids are grown. I got to put my Turbo skills to work again this year when she came to Tulsa. Watching her grow as a person and as an artist has really given me the courage to do the same. — I’m in two (to be released next year) motion pictures because of her encouragement. Ken Davis: Best Selling Author. Motivational Speaker. He’s a gifted comedian and a master storyteller. They showed one of his videos called Super Sheep at a woman’s retreat back in 1995. I laughed until I cried and then forgot about him for ten years. — Now, I own his full library. I’ve seen him speak live and I’ve personally invested in several of Mr. Davis’s speaking seminars. They are informative, to the point, a lot of fun, and wildly successful. I got far more than I bargained for when I went to my first conference of his back in 2009. I wanted to learn about speaking and I’ve learned so much more. Not only has Mr Davis’s conferences helped teach me to be a better speaker, through his blog he’s helped me learn how to be a better liver of life. He’s why I decided to ride in the MS 150 in 2012 – the guy is 63 and has ridden in triathlons for heaven’s sake. For those of you who have followed me all these years you know how terrified I was just to be at the seminar back in 2009. Times have changed. He also taught me to live with nothing to prove, nothing hide, and nothing to lose. This year, I’ve learned about living a life of expectancy instead of expectation. Michael Hyatt helps people live and lead on purpose. He’s a father, a husband, an in-demand speaker, as well as a published author. He is also the chairman of Nelson Publishing. When I met Mr Hyatt at a speakers conference in Nashville back in 2009, I was so intimidated by his position (and my desire at the time to work for Nelson) that I turned into a walking lobotomy. He gave a presentation on how to get published and writing queries that sell and I was thrilled to be there. Nelson Publishing is the group that puts on Women of Faith. At the time, I wanted to give back what they gave me and be a part of great change in the world. I don’t work for Nelson, may never work for them and that’s okay. Today, I read Mr Hyatt because of posts like this one: The Blessings of Discomfort. and I’m moved beyond myself to a bigger picture. He writes on intentional leadership, speaking, social networking, and life in general. Janel Brookshire from Stay in the Saddle: Janel is teaching me how to ride horses. Jo is part of my inner circle, but I am going to write about her just a little bit here. She is a cowgirl through and through. An excellent writer and a great teacher. She and her husband own the Cactus Bars Ranch in Claremore Oklahoma and have a love for life like none other. I was a bit of an emotional mess when I first started taking lessons from Jo last winter. (family issue) Riding made all the difference. Seriously. Can’t tell you why, only that it did. Tuesday mornings are my favorite time of the week. Stay in the Saddle isn’t the name of the program, but rather a result of the philosophies taught there. I feel free when I ride. And because of Jo, I got to ride horseback in the jungles of Belize last Spring and had the time of my life. Today we are learning barrel racing (albeit slowly) and soon I’ll be jumping and roping cattle – maybe, I don’t trust myself with rope, but who knows. Anything is possible. What a journey y’all. This time seven years ago I was grieving more losses than this heart could imagine. Today, I’ve learned how to trust again, how to love again, how to breathe again, and how to live again. I owe that to the wonderful people who’ve come in my life over the years. Seven years is a complete cycle. I’m not sure how I feel about this cycle ending. But end it must. 2012 begins a new season, new chances, and new adventures. This year is over. I declare it complete. Merry Christmas and have a wonderful New Year. While I’m on vacation with my family until the first of the year I wanted to share with you some of my Top 10’s for 2011. 10. Oh I Forgive You but I’m Still Going to Make You Pay. Being unforgiven hurts, but it isn’t the end of the world. 9. Small Steps, Learning Trust – Name that Him Learning how to trust has been a long and painful journey for me. I’ll trust things and institutions before I’ll trust people. Apparently trust is a big issue for others as well. 8. Naked and On My Knees; The Journey Home I’m not sure if this post was popular because I said “Naked” or if it’s the content. 7. Can You Give Me Three Days? I once insulted a man so badly that he had to ask for three days to think about things and respond. That’s pretty bad. 6. Poetry: The Brag, I Live I have no idea how this made my top 10. I only published it this fall, but here you go. 5. My Garden Shed, She is Finished An online gardening magazine picked this up in a link and put the story in my top 10. 4. Understanding our Identity in Christ This is an interview with CJ Rapp, motivational speaker and Christian Author. Who A I? sees to be a very popular question. 3. Tiger’s Confession, I’m sorry vs I was Wrong I’m Sorry and I Was Wrong are very popular searches. Hopefully this blog post answered what they came to find. 2. Never Skip Church to write Comedy. — I had a dream that I was married to Jim Belushi last year. It kinda freaked me out really. Freud would have a field day with it as did my husband. Mr Belushi is a very popular search topic or he likes to google himself. Either way, if you are interested in seeing a glimpse of my neurotic mind, have at it. 1. Letting Go, and Letting God. – Year after year, this is my most popular post. Letting Go is a universal struggle for all of us. My present to my family this year is the gift of presence. While I’m away, I’ve scheduled some posts for your reading enjoyment. I hope all of you have a blessed Christmas. Be in the moment. Look people in the eyes. Be still. Listen and enjoy each other. Life is short. LIVE the moment. I’ve directed my share of Children’s Programs. We all know they never go quite right. Please enjoy this short clip of comic Tim Hawkins and Christmas Songs. For more videos from Tim Hawkins, click HERE. Micheal Hyatt posted this on his blog yesterday. It inspired me today and I want to share it with you. The Neurotic Messiah, copyright December 2000. Oh no! What have I done? I cannot read a single note. Not one. This score is much more complicated Than I ever anticipated. I haven’t sung in a choir for twenty year. And so began my chorus of fears. The starts, the stops, the highs, the lows The beats, the counts, the arpeggios. The conductors who speak in some foreign tongue Is it Latin, or Italian? I know not which one. The M’s and P’s, and F’s and M’s. Oh, these aren’t your typical church service hymns. Am I an “S” or not an “S” I do not know and now they say my costume I need to sew. Light the fire but don’t take it out?! Would someone please tell me what that was about? Now I’m told to sing like Ethel Merman and that we aren’t singing, but giving a sermon. I’m now thinking my impulse to do this was rash. This may be a check I’ve written that my body can’t cash. This is not good, not good at all, but then again, does pride not come before the fall? I drove straight home and on my bed I sat telling my husband, I’m not going back! And that is that! I searched through my brain to frantically look for some wise answer to get me off the hook. Failing that I tried for the truth Hoping somehow he’d understand, even in his youth. And so I sat with a guilty heart wondering when my son got so smart. And wondering why he now would choose to remember my words and those words use. Then henceforth came my next blessing I caught a cold while I was dressing. I coughed and sneezed and wheezed and gasped. My voice, once loud, now barely rasped. I cannot sing and cough no sir, they have to let me drop now, I’m sure. No guilt, no blame, It’s not my fault. This cruel dance can finally come to a halt. But Leon’s good. He doesn’t miss a trick. You’d better get well and get well quick. I’ll let you sing you’ll do just fine, people catch colds all the time. And so went my last excuse. Fighting God on this one seemed no use. My costume’s all sewn by my friend Cyndi, with care, At least now I will have something to wear. I thought a “piano” is what you played and not what you sang and this cold still makes me sound like a cat in the rain. I’m not an “S” and this much I know that’s to keep us from hissing during the show. The Marys and Josephs have been picked out with care now if only they could decide when they’ll be there. The last practice has come we should know what to do. Stand up straight, bend your knees, and that includes you. The Altos still outnumber the rest by a score, next year could you please try soprano some more. The orchestra is with us, it’s coming together. Somehow I doubt we could get any better. Tell us Pastor Carter how does it sound now that we’ve done this last go around? Our differences we have quietly tucked away, as all Tulsa Lutheran churches sing in har-mony this day. Clear and true our music does ring as we all praise and worship our new-born King. All fears and joking are now put aside. This is a worship service and our joy we can’t hide. The true story of Christmas can only be told through the lives of the ones who dare to Behold. We will be celebrating our 90th year this December 4, 2010. Won’t you please join us at First Lutheran Church on 13th and Utica for this wonderful presentation of the Christmas Story. I woke up with my shoulders in my ears this morning. My to do list is out of hand what with Christmas just around the corner and my oldest due home on Friday. I have too much on my mental plate and need to blow off some steam. In light of that, I took time out to ride today. I usually ride Prince on Tuesdays. (See photo) This time Janell let me ride Cowboy. Cowboy jacks with me most days, but not today. He’s not a bad horse, he just doesn’t like beginners. I’ve been riding for almost a year now and even though I cannot hold a steady gallop, I’m no longer a beginner. Something about my seat told him I could be trusted. He did everything I asked. Horses need to be able to trust their riders as much as riders need to be able to trust their horses. It’s a two-way relationship. There is a life lesson in this I’m sure. Janell is teaching me how to race barrels as well as jump. Once I learn those, it’s on to roping cattle. I’m becoming a real cowgirl. I’m 46. This is crazy. And oh so much fun. J-man wants to know how I can “race barrels” if we aren’t really going at a full gallop yet. He’s an are we there yet kind of fellow. That’s an easy question to answer. We just do it. It’s not about the speed. At least not yet. It’s about form and it’s about trust. Once that foundation is set, the speed will come. Every hour I spend in the arena, I push myself to go a little bit faster for a little bit longer. I work my abs and my legs by holding them straight. My left leg keeps wanting to curl up underneath me for protection and that throws me off balance, holding it straight is a huge challenge. I work on keeping my eyes up and forward instead of on the ground. I sit as tall as I can and I let the horse go. Every day I ride, I borrow courage from the horse and make it my own. Cowboy does not give an inch. Every step, every breath, every moment is earned with him. I rather like that. I prefer to earn my own confidence than have it handed to me. Cowboy will not let me lope one minute before I’m ready. His resistance is teaching about my own journey in life. So often we are in a hurry to arrive. Cowboy forces me to slow down, breathe deeply, check my seat, stay balanced and enjoy the ride. In light of that, I’m taking the rest of the year off. I hope you don’t mind it’s just that I’ve been in such a hurry to make Christmas arrive that I’m missing the journey. No more Facebook. eh, they’ll live. and No more Blog. At least not until 2012. I haven’t taken time to harvest the fruit from 2011 or to rest. I need time to be. To quote Anne Jackson, the internet will still be here in 2012. Have a blessed Hunakkah or Christmas or whichever you celebrate. I’ll see you in 2012. I ask why. A lot. Granted I do have the voice of reason (or schizophrenia, whichever) to quickly follow with either a snarky remark or wisdom. Why did the laundry hose spray all over the laundry room today? At least the room smells Springtime fresh now. Not helping! Why can’t people behave the way I want them to? — okay I really do wish they would here, but now do you always behave the way people wish you would? – Oh shut up. Why doesn’t he ever pick ME?- Because he isn’t going to. Instead of getting your feelings hurt every year, face reality and move on. Do not try to control the situation by constantly reminding him how much you really want to do this — obviously he does not believe you are the right person for the job. It’s not personal, and even it if is, you can’t do anything about that. Reality of life is simply this — like it or not we have absolutely no power of people, places, or things. The only power we have in choosing how to respond. 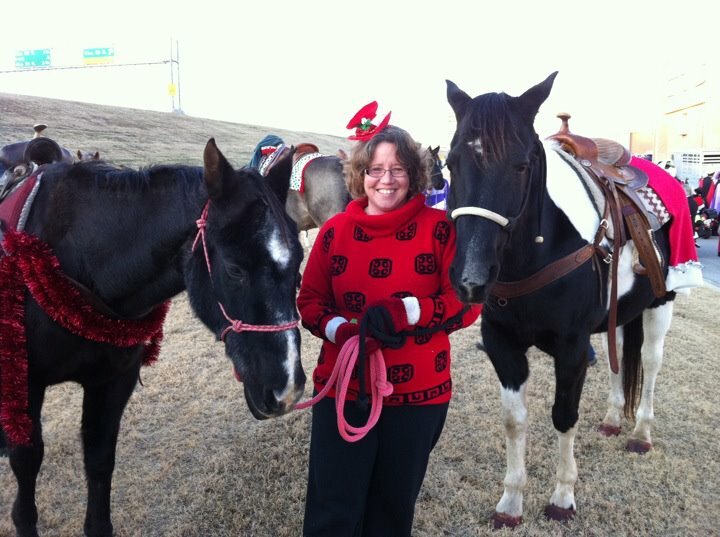 Rather than focus on what I cannot control today, equipment failures, dishonest and manipulative people, and rejection (I really hate that one), I can focus getting exercise and eating well, and celebrating the fact that our riding club (Stay in the Saddle) is going to be in the Christmas Parade. I’m not being Pollyanna. I’m just choosing happiness. What about you? Are you going to spend this day focusing on the things you cannot control? Or are you going to spend it focusing on the things you can control – yourself. I hope you go out there and have a wonderful and happy day. And don’t forget to laugh.